This function can be repeated as many times with any number of different libraries as long as none of the libraries conflict. In the following example, a final step is to change the working directory to a specific location using the cd command. 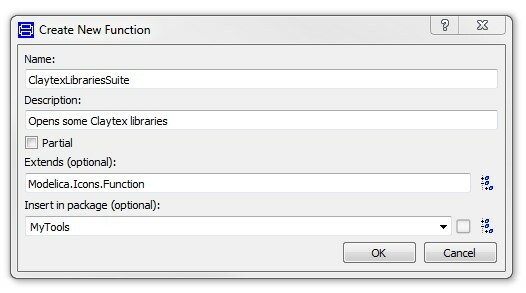 function ClaytexLibrariesSuite "Opens some Claytex libraries"